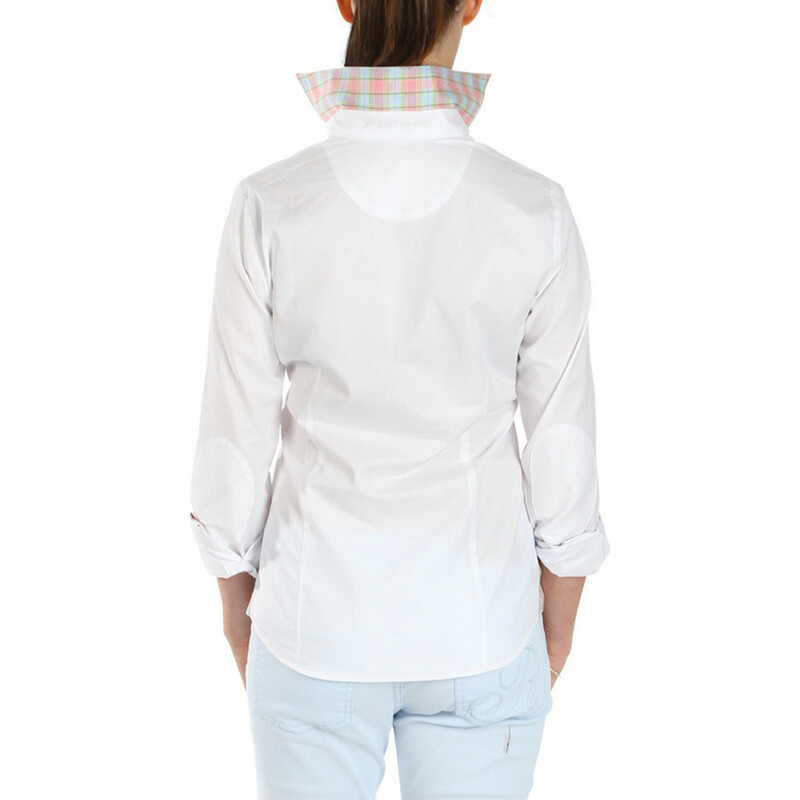 Ruckfield white women's tailored shirt, in contrasting fabrics: madras cotton in pastel colours under the collar, cuffs and button tabs. 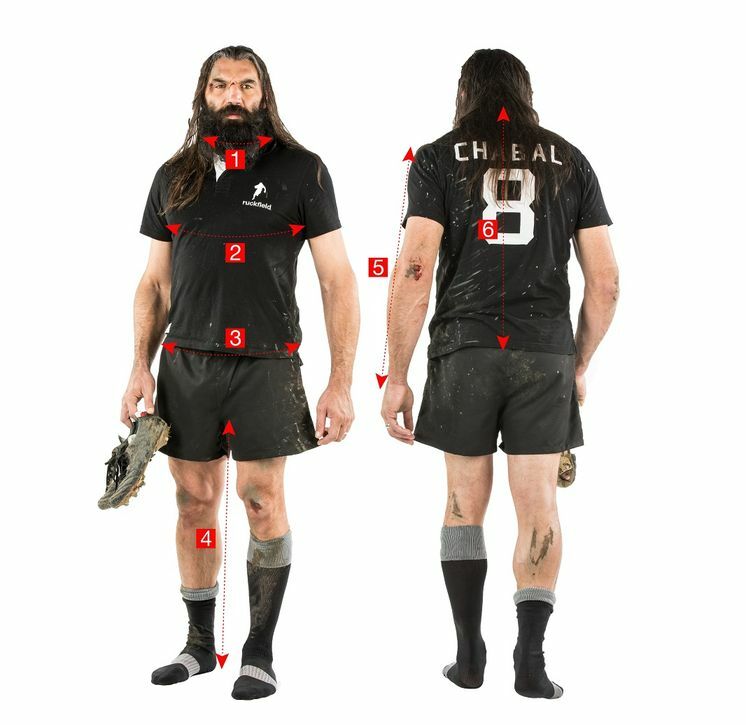 Details: embroidered silhouette of Sébastien Chabal on the chest and decorative popper on the cuff. An elegant shirt in summer colours.